* About the product - Made of high-quality ,durable and food grade stainless steel. - Coffee scoop features a long handle; great for scooping ground coffee, cocoa or tea. - 1 tablespoon measure makes it easy to make just the right amount of coffee. - It is dishwasher safe, making cleanup a breeze. 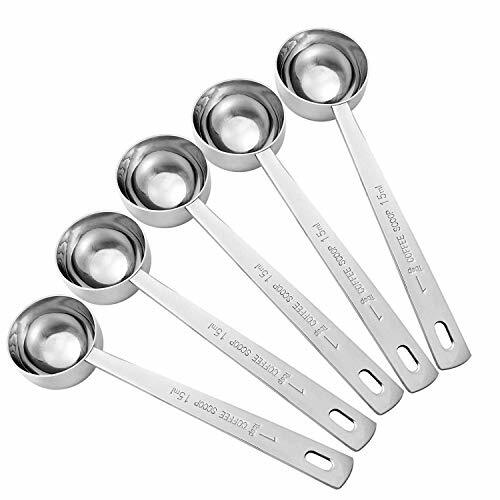 - The spoons total Measures 5.7 inches long, the handles 4.33 inches Long and the diameter of spoon 1.5 inches.